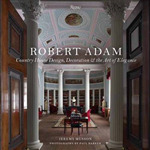 The definitive book on the most influential English country house architect and designer. The Battle for the Falklands is a vivid chronicle of the political decision-making and military strategy during the Falklands conflict. The author of the magisterial England's Thousand Best Churches turns his eye to England's cathedrals, with fascinating, personal - and often funny - insight into their history and their place in English life.